Figure 14 The different steps to load data into tge EBSD map GUI. Figure 15 Screenshot of the EBSD map GUI with an EBSD map of near alpha phase Ti alloy a) before smoothing and b) after smoothing. 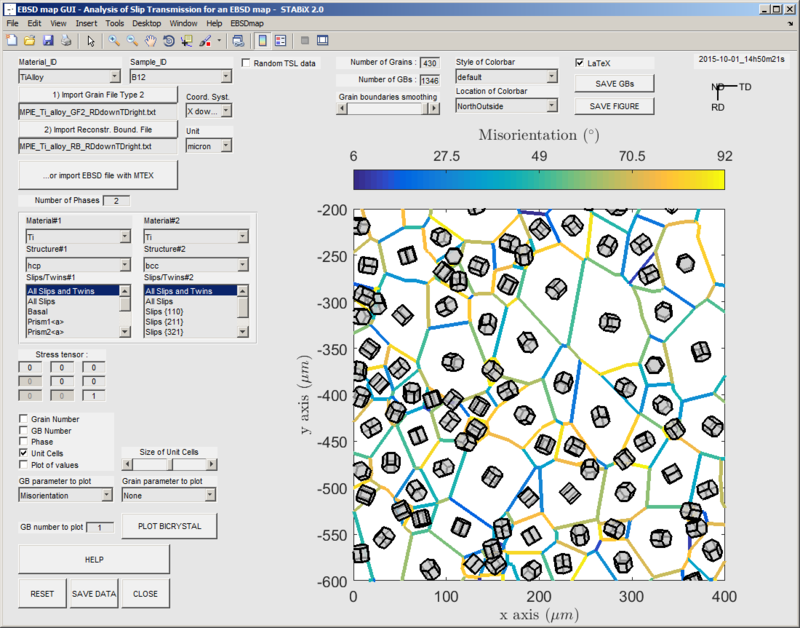 Figure 16 Screenshot of the EBSD map GUI with an EBSD map of near alpha phase Ti alloy (GBs color-coded in function of the maximum misorientation angle value). Figure 17 Screenshot of the EBSD map GUI with an EBSD map of near alpha phase Ti alloy (GBs color-coded in function of the maximum m’ value). Figure 18 Screenshot of the EBSD map GUI with an EBSD map of near alpha phase Ti alloy (GBs color-coded in function of the maximum m’ value obtained for slips with the highest generalized Schmid factor). Figure 19 Screenshot of the EBSD map GUI with an EBSD map of near alpha phase Ti alloy (GBs color-coded in function of the maximum residual Burgers vector value). 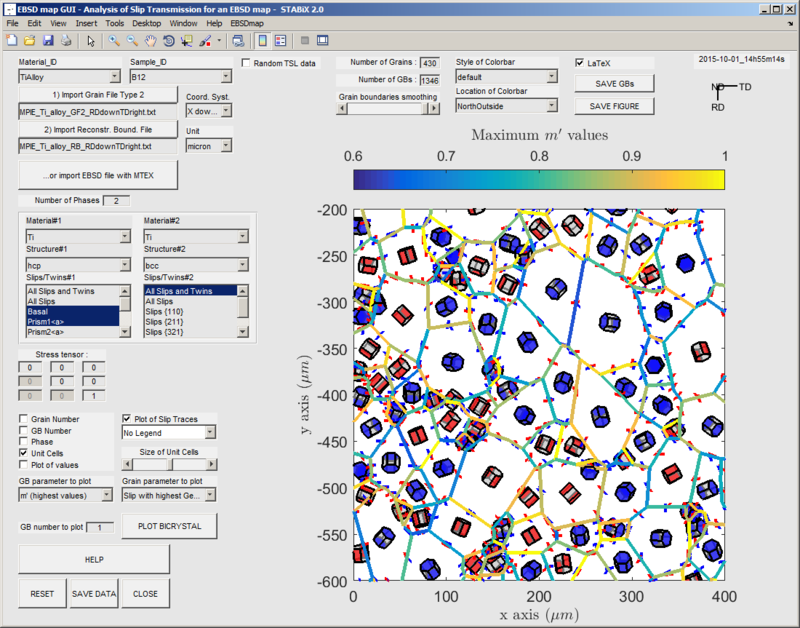 Figure 20 Screenshot of the EBSD map GUI with an EBSD map of near alpha phase Ti alloy (slip plane plotted inside grain and slip traces plotted around unit cells, both in function of the maximum Schmid factor calculated with a given stress tensor).